Having enjoyed both chemistry and biology while in high school, Evan can trace his interest in science back to his teenage years. However, upon graduating, he was still uncertain about which major he wished to pursue. Evan entered Fullerton College with an open mind toward all potential careers. In a stroke of luck, Evan’s discovery of biotechnology was purely accidental when he registered for BIOL 190, an Introduction to Biotech course. “I signed up for the class thinking it was a generic Intro to Biology course, […] just a general prerequisite” he said. Fortunately, the class proved to be a serendipitous moment in Evan’s college career, as he quickly developed a passion for biotech. 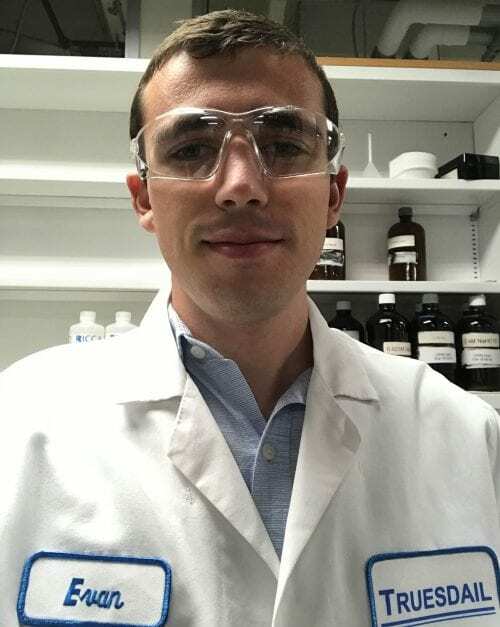 Upon completing BIOL 190 at the top of his class, Evan was encouraged by his professor, Dr. Kimberly Rosales, to apply for summer internships in the field. Today, Evan works at ALS Global Services and runs chemical tests on Orange County’s water supply. Using a process known as X-ray fluorescence, he analyzes the elemental composition of the water in our pipes, searching for excess amounts of lead and other potentially harmful materials. Although his job is tangentially related to biotechnology, Evan asserts that the hands-on skills he gained from his FC biotech classes have helped him greatly with his current lab work. Having worked with pH meters and titrations while in school, he was already prepared for many of the lab procedures he now performs every day. Furthermore, Evan highlighted the value of OC Biotech’s resumé workshops and mock interviews, calling them “the most useful” preparation materials for his job search. When asked if he had any advice for today’s students, Evan answered, “Don’t narrow your vision too early and keep an open mind toward all majors and classes.” Evan echoed that, if anything, he wished he had stumbled upon the biotech program earlier, as it helped cement his career aspirations in the scientific field. See 'Events' page for details. OC Biotech Education Partnership is currently funded by the CTE Enhancement Fund and NSF-ATE DUE #1502064. Some programs are funded by the Amgen Foundation. The project was originally funded through the California Community Colleges Economic and Workforce Development, Biotechnology Workforce Innovative Partnership grant. This site may contain links to web sites not administered by Fullerton College. The NOCCCD is not responsible or liable for the accuracy or the content of linked pages.